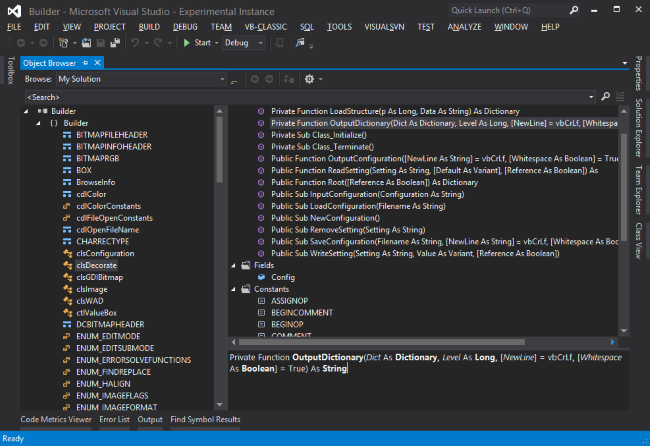 Visual Basic Tools for Visual Studio allows to work with classic VB workspaces and projects within Visual Studio. 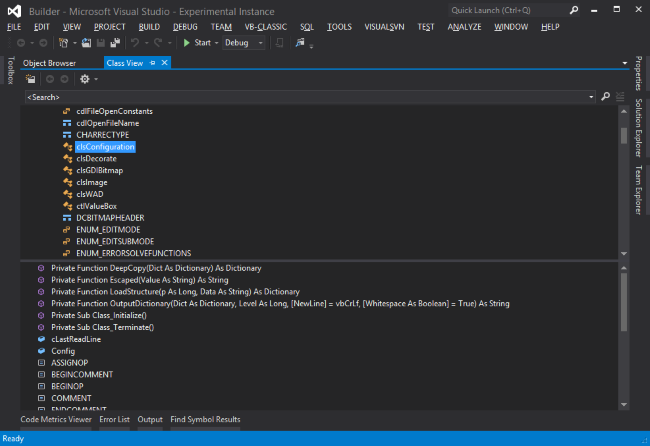 Visual Basic Tools for Visual Studio is a language service extension for Visual Studio 2012 and 2013 allowing to work on classic Visual Basic projects within Visual Studio. Its intention is to provide better development tools for teams which have to maintain legacy code, or working on migration projects. Right now the toolset is still under development and some valuable features are not available yet, but it could already worth it to try. 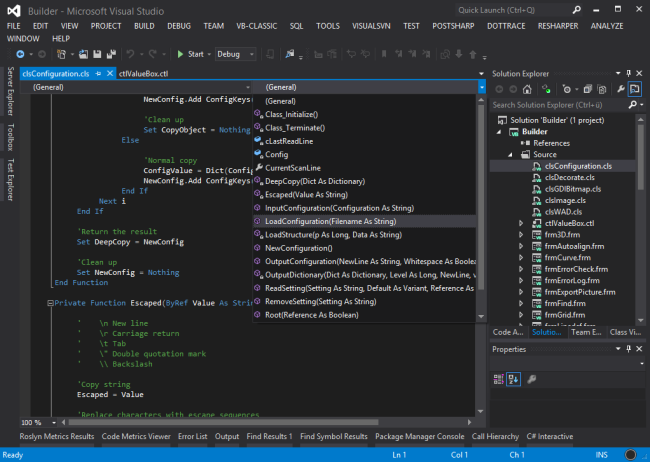 The package registers a new language service supporting Visual Basic 6 projects and code files. It integrates with the solution explorer and the code editor having support for syntax highlighting, basic outlining (allows to expand/collapse methods, properties, and types) as well as navigation bar support. The latest version registers loaded VB6 projects with the Object Manager. Classes, Types, Modules, Forms, and Controls can be inspected using the Object Browser and Class View.